Savant started as last year with a small number of silver and above players. This year we are looking to expand our horizons and make the family bigger. We are currently a team of S8 silvers and golds. Ranks may change due to new ranked changes incoming next year. expectations are to jump a rank higher based on new updates. 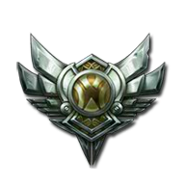 So if you're mid silver, you can expect to be gold next season. Again, this is not guaranteed. We will be aimming for a higher flexed rank, high competitiveness in the upcming clash tournaments and non-riot hosted tournaments. Are team usually focuses largely on macro plays. we will not focus on mastering individual champs, that is up to you.